Spring may be right around the corner, but we're keeping our beers dark...for now. We're headed to San Diego to review one of our local favorites from North Park: Fall Brewing Company. Bourbon Barrel Aged Jinx Remover is an Imperial Dark Lager that has spent some time in Old Forrester Bourbon barrels. It's full of the flavors you'd expect, but drinks like a lager. We also talk a little about how great North Park is and have some suggestions if you're going to be down ... See More in the area. Make sure to follow the show on all social media outlets @BeerHarmonyShow and check out www.beerharmonyshow.com for even more beer! 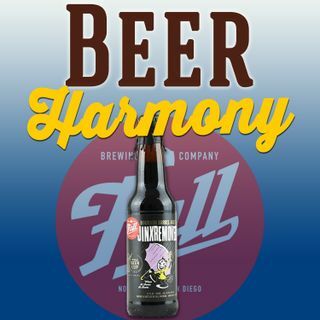 Please send us your beer suggestions and show feedback to beerharmonyshow@gmail.com. You can find out more about Fall Brewing Company at www.fallbrewingcompany.com. Cheers!